While Dhar is believed to have no direct role in recruiting youths or looking after operations in India, “his video and speeches may have influenced many youths here who would have easily connected with him since he is of Indian-origin,” an official said. Siddhartha Dhar, an Indian-origin British citizen who joined the Islamic State and is called the new ‘Jihadi John’, was on Tuesday designated a global terrorist by the US. He left the UK in 2014 to join IS in Syria, the US State Department said in a statement. “He is considered to have replaced IS executioner Mohammad Emwazi, also known as ‘Jihadi John’. Dhar is believed to be the masked leader who appeared in a January 2016 ISIS video of the execution of several prisoners ISIS accused of spying for the UK,” the US statement reads. Known as Abu Rumaysah after his conversion to Islam, Dhar had earned the nickname of ‘Jihadi Sid’. Dhar, said to be in his early 30s, was born in London. He later came in contact with a girl identified as Aisha and converted to Islam to marry her. He was influenced by the religion and started campaigning for Sharia laws in the UK. He was arrested in September 2014 for his association with the al-Muhajiroun group but was released on bail soon, considering it to be his first offence. Dhar defied the travel ban to flee the country with his wife and children, and tweeted a picture of himself holding his newborn son and an AK-47 from Syria days later. “What a shoddy security system Britain must have to allow me to breeze through Europe to (IS),” he wrote. He regularly posted Islamist propaganda on social media and hailed the announcement of the caliphate by the IS. Under the US Executive Order 13224, an individual or group is put under the category of Special Designated Global Terrorist (SDGT) to disrupt the financial support network for terrorists and terrorist organisations. Through the Office of Assets Control (OFAC), it authorises the US government to block the assets of foreign individuals and entities that commit, or pose a significant risk of committing, acts of terrorism. The notification was first signed into law by George W Bush in September 2001. Besides Dhar, another IS member Abdelatif Gaini has also been designated as global terrorist. “These designations seek to deny Dhar and Gaini the resources they need to plan and carry out further terrorist attacks. Among other consequences, all of Dhar’s and Gaini’s properties and interests in property subject to US jurisdiction are blocked, and US persons are generally prohibited from engaging in any transactions with them,” the statement reads. Dhar is said to be the second Indian to have been listed as a global terrorist for his association with the IS by US. 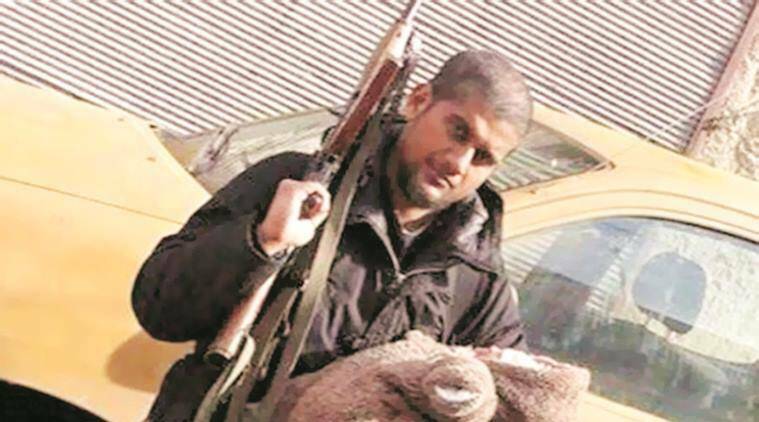 Karnataka-born Shafi Armar, believed to be recruiting youths from India to travel to Syria to fight for IS, was designated as a global terrorist last year by the US.